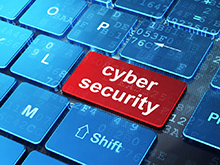 Are PCI security breaches problematic for small businesses? Are PCI security breaches actually problematic for small businesses? One of the biggest misconceptions today is that a fatal security breach will only happen to big-name companies; in truth, cyberhackers target businesses of all sizes. In 2013, 60% of businesses and organizations in the U.S. were exposed to payment fraud and they pay, on average, about $580.5 million in debit card losses per year. Approximately 42% of American consumers have experienced credit card fraud at least once in the past five years, and the median amount of money stolen in one fraudulent purchase is nearly $400. How long does it take to meet PCI standards? With the right credit card authorization equipment, your business can be PCI compliant almost instantly; however, it’s important to realize that compliance should be viewed as an ongoing process. What happens if your business doesn’t comply? It’s possible to get away with sub-standard gateway integration and credit card authorization programs, but that’s really one risk you don’t want to take. If a customer’s personal information gets stolen and it’s because your business didn’t follow the PCI requirements, you’ll face fines, lawsuits, and you might even be prohibited from accepting credit card payments in the future. Hopefully that helped a little bit — but if you’re still confused about the details of PCI compliance and what it means for your business, you have nothing to worry about. When you have a great credit card processing system, supported by a company that cares about the success of small businesses, you’re never dealing with PCI standards alone.